Here at the CHIME library we have over 15,000 books as well as online resources for research and enjoyment. 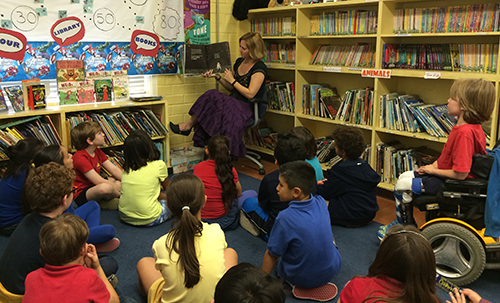 It important to CHIME to foster a love of literature as well as develop library skills. Each class has individual library time on a regular basis. Students in 1st-8th grades can check out books during their class time or during recess and lunch. The CHIME library is a great place to read, browse, and share the love of reading with friends. The library is also a great place for research project support with our comprehensive catalog selection. Thanks to our many generous donors, we are constantly adding new titles and updating our collection. CHIME Summer 2018 Read-a-thon is back!!! Take your summer reading and turn it into money for the library! 100% of the money raised will go to maintain our fabulous library program!! !